KINDLING-EASY is a self-adjusting therapeutic device for daily use with systemic functional bioresonance. 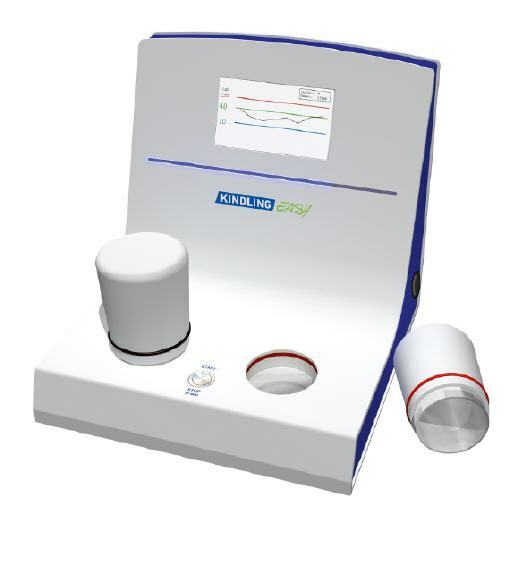 The systemic functional bioresonance approach is based on the fact that, besides the organically identifiable diseases, an increasingly large proportion of clients complain of disorders that do not correspond to any pattern recognised by the diagnostic tests used in conventional medicine, and therefore require additional diagnostic and therapeutic techniques from complementary medicine. Kindling EASY adjusts itself automatically every 2 minutes, based on measurements of skin conductance. This means that the client receives recently checked and individualised bioresonance treatment, which conforms very closely to the regulatory requirements of the body and therefore guarantees the selection of “operator-independent” error-free treatment parameters. >> KINDLING-EASY calibrates itself automatically every 2 minutes. This means that the client receives recently checked and individualised bioresonance treatment, which conforms very closely to the regulatory requirements of the body and therefore guarantees the selection of “operator-independent” error-free treatment parameters. >> Special emphasis was placed on simple and safe operation during the development of KINDLING-EASY. Requirements were automation of the complex processes of bioresonance as well as immediate and comprehensible display of the treatment results. The result: a high level of client acceptance. >> At the end of the treatment session the operator receives a graphical representation of the course of treatment. This gives the operator a great opportunity to discuss the results and subsequent measures with the client. For futher information do not hesitate to contact us!